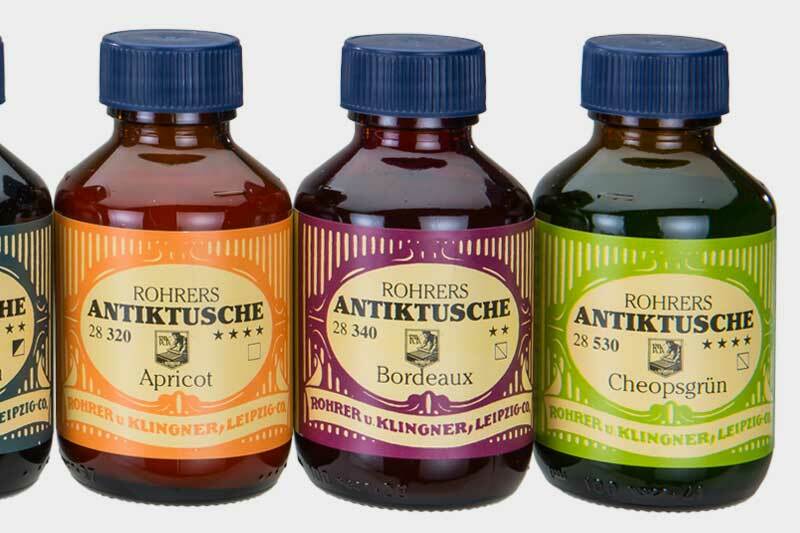 In Rohrers Traditional Ink range, the experience of decades unites with high quality materials and innovative production methods to 18 tones of high luminance and brilliance. 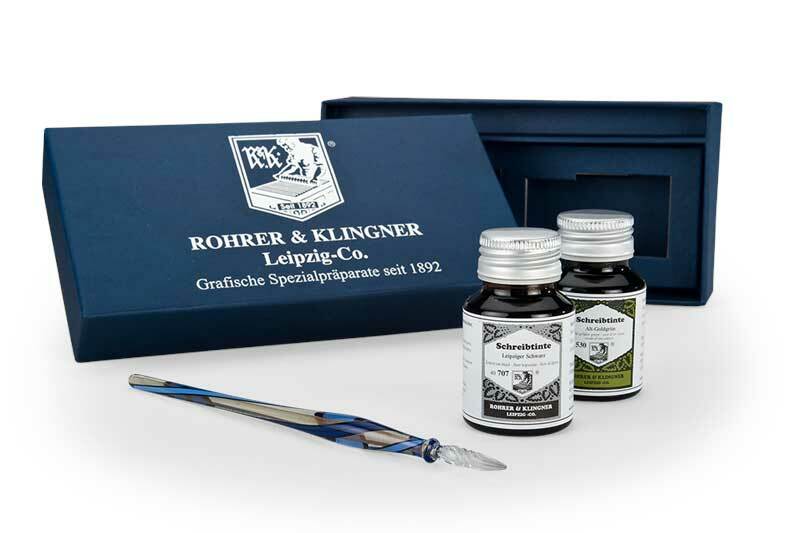 Particulary notable is the large area of application that goes beyond the work with quills and brushes in drawing and calligraphy. 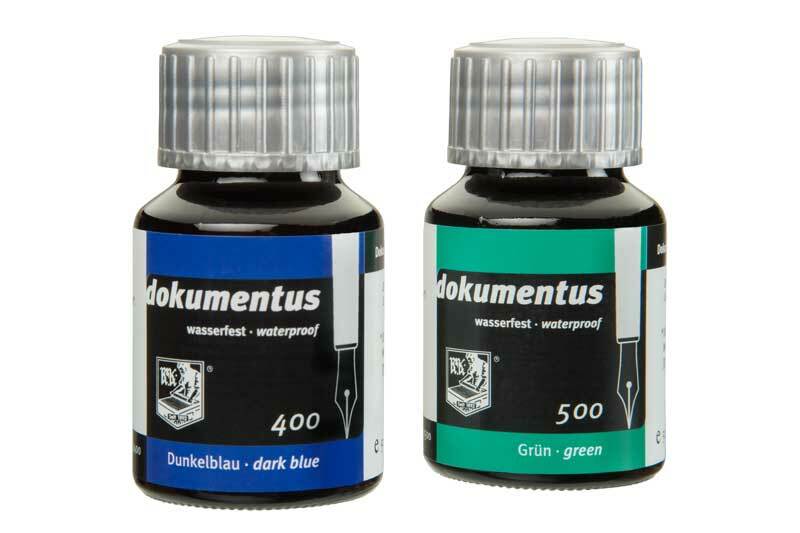 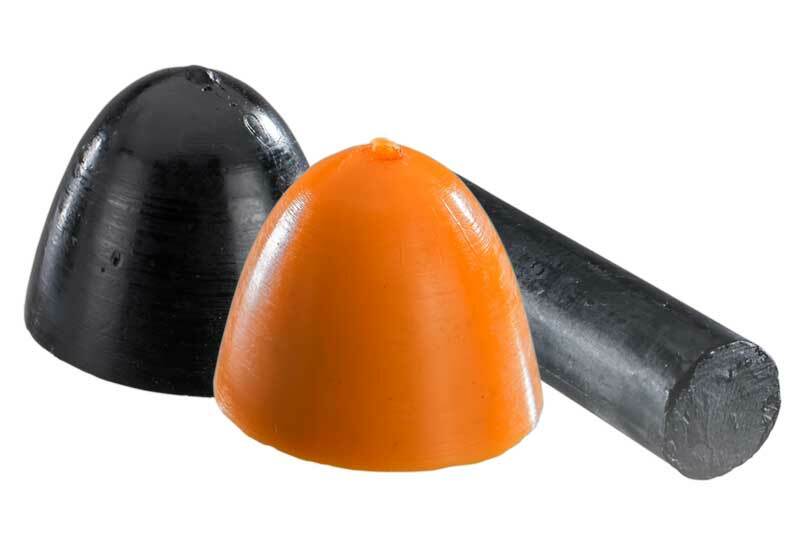 The comparably high density of pigments allows for consistent results when the ink is applied to technical pens (e.g. 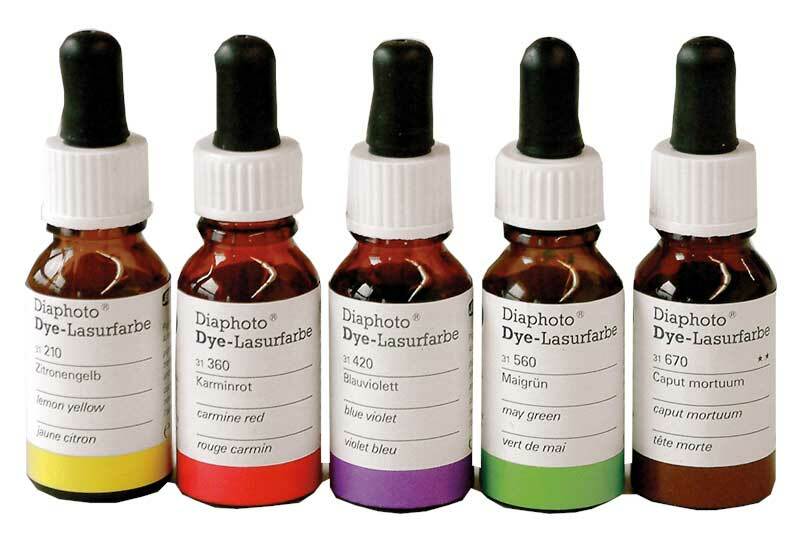 Isograph) with a stroke thickness of down to 0,35 mm. 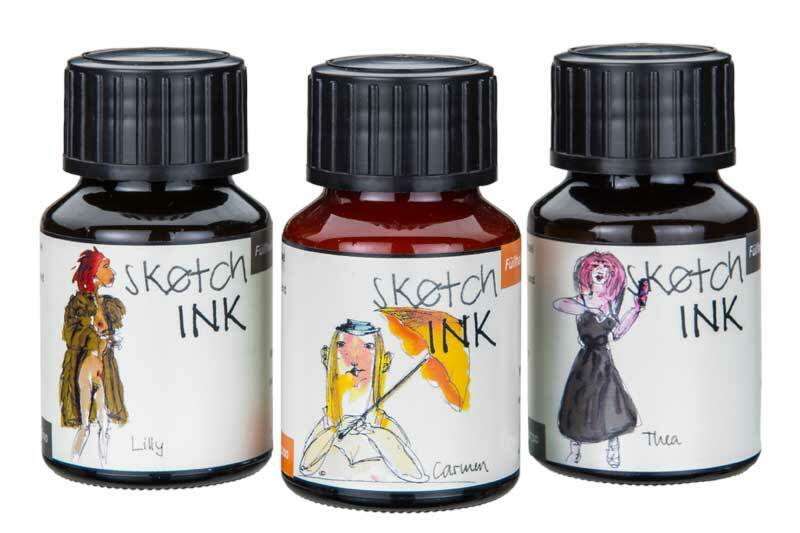 An ideal drying time allows for the use of calligraphy pens (like the Art Pen from Rotring) and all other writing utensils relevant for calligraphy. 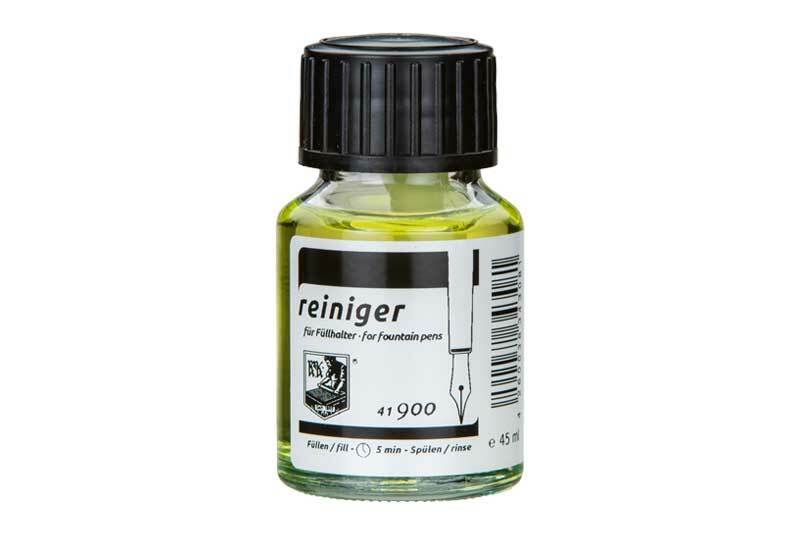 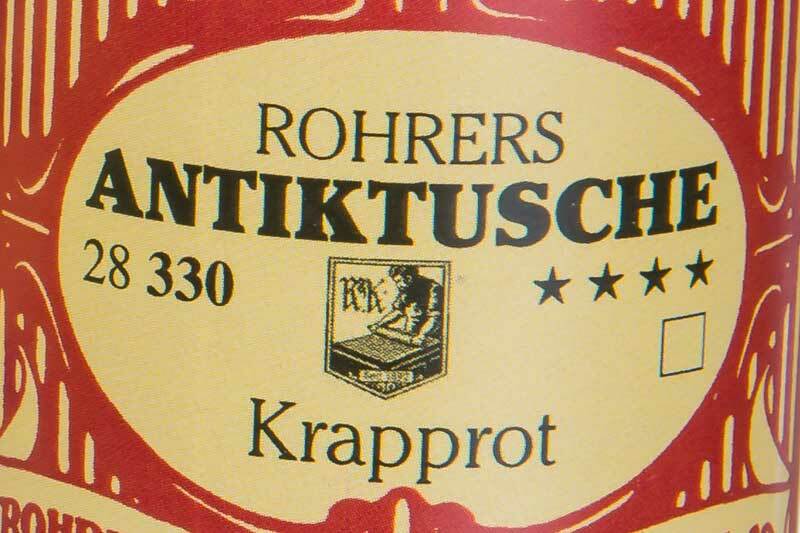 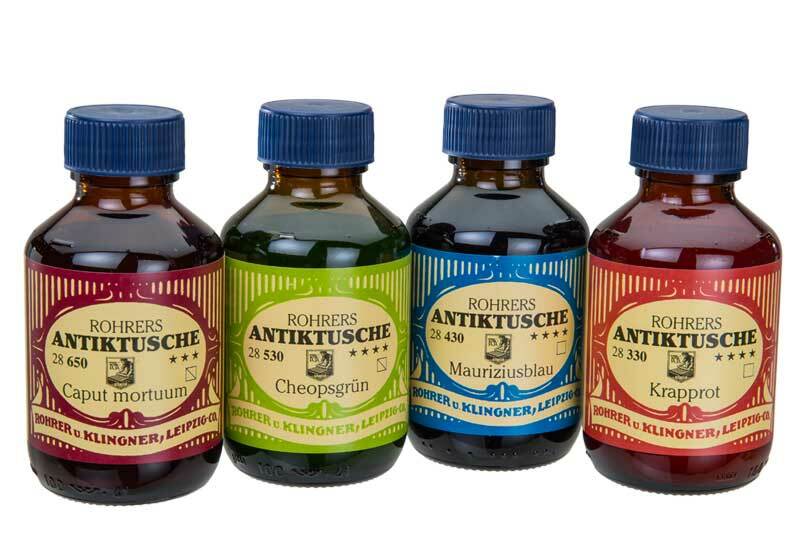 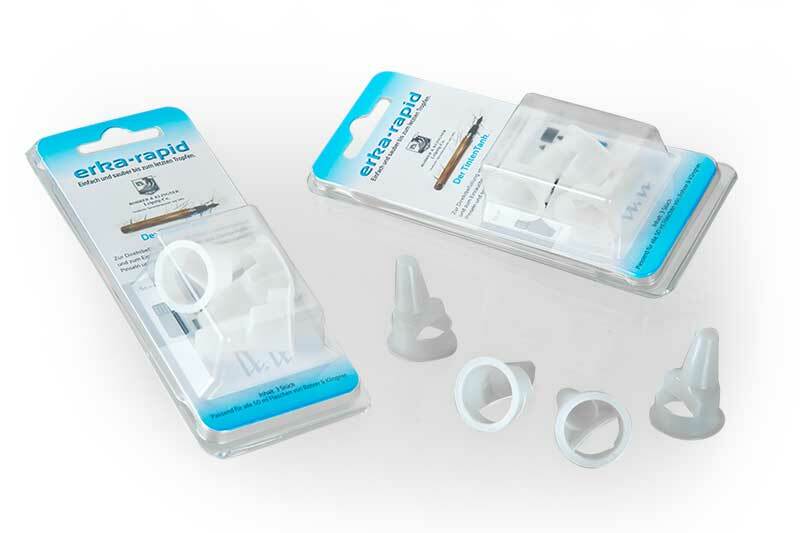 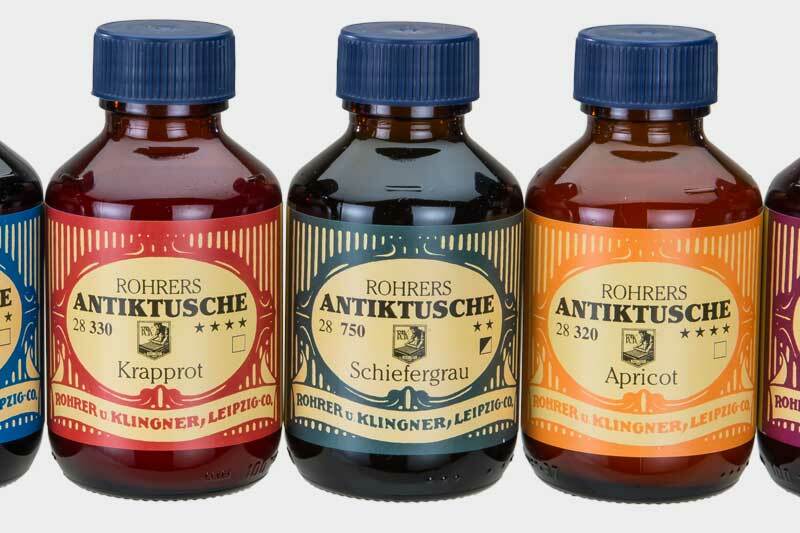 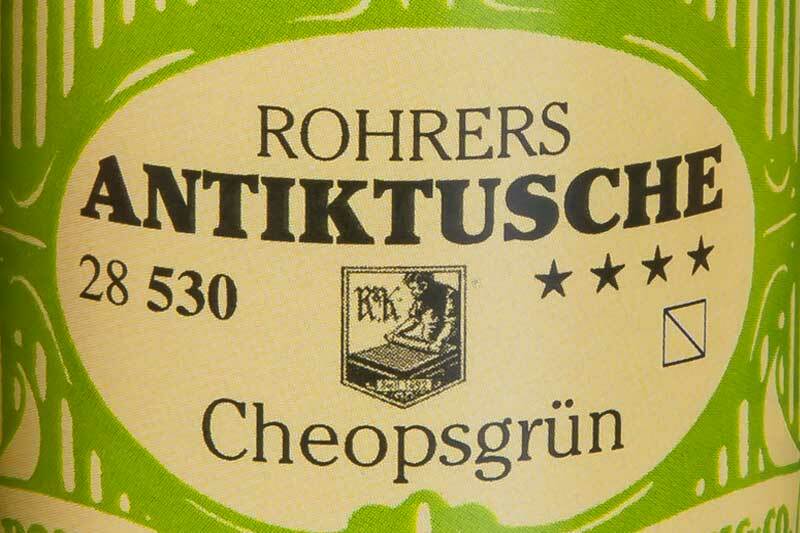 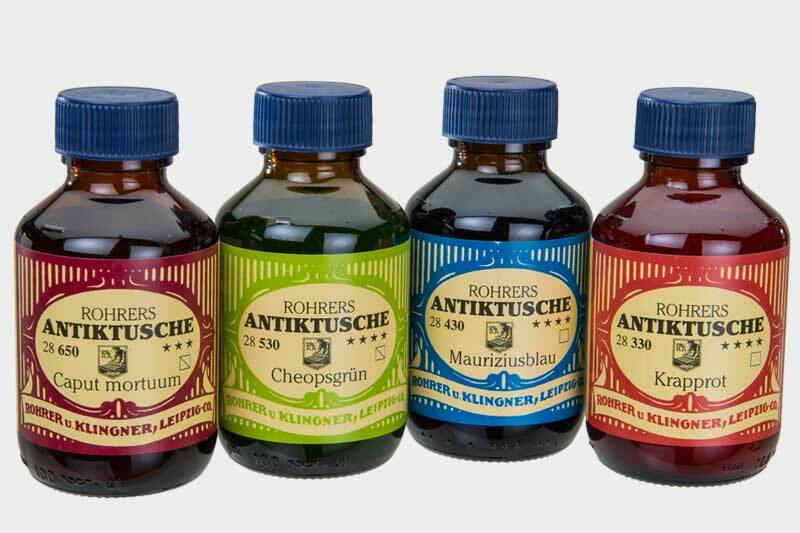 Furthermore, Rohrer’s Traditional Ink is suitable for airbrush devices. 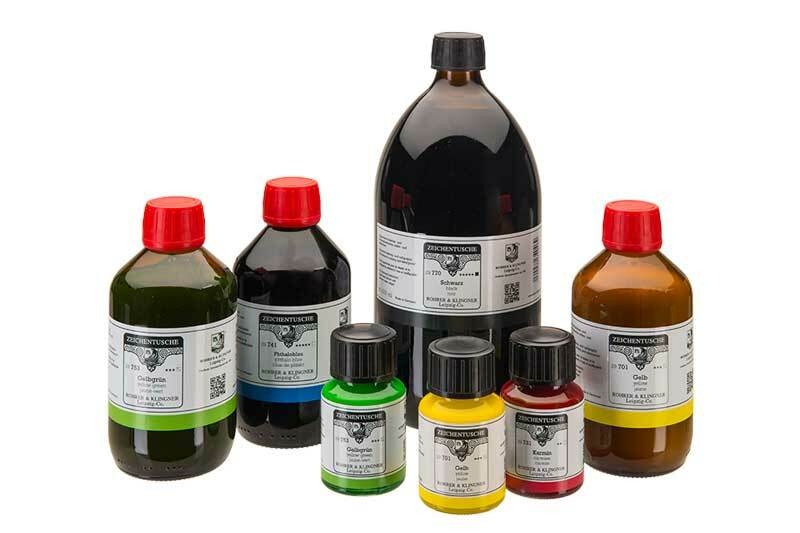 Eligible painting surfaces cover drawing paper, cardboard, transparent paper, and mattfinished foils of polyester. 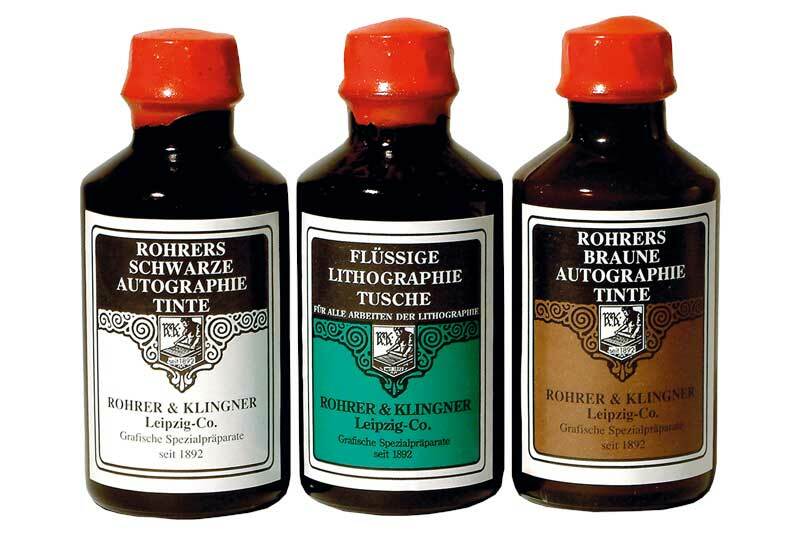 For the purpose of calligraphy, also more imbibing materials like Ingres deckle-edge paper or watercolour paper are considerable. 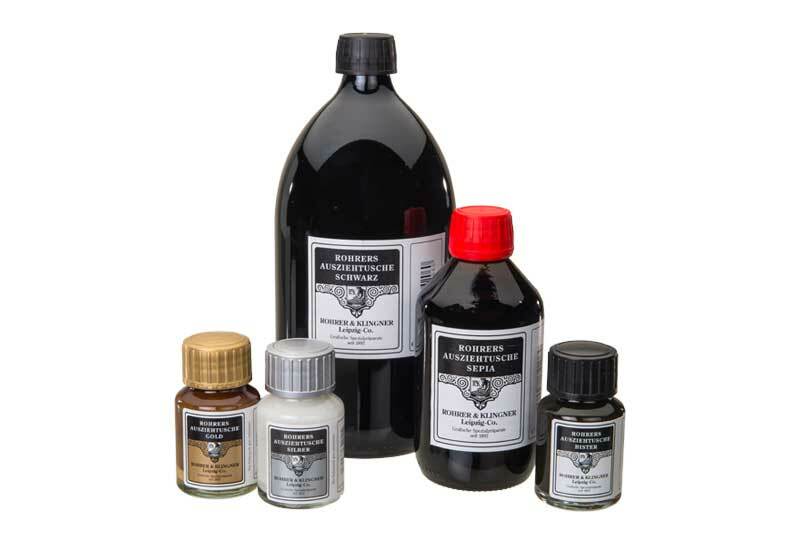 Due to the acrylic resin that is used as vehicle, the dried ink is resistant to water and wiping. 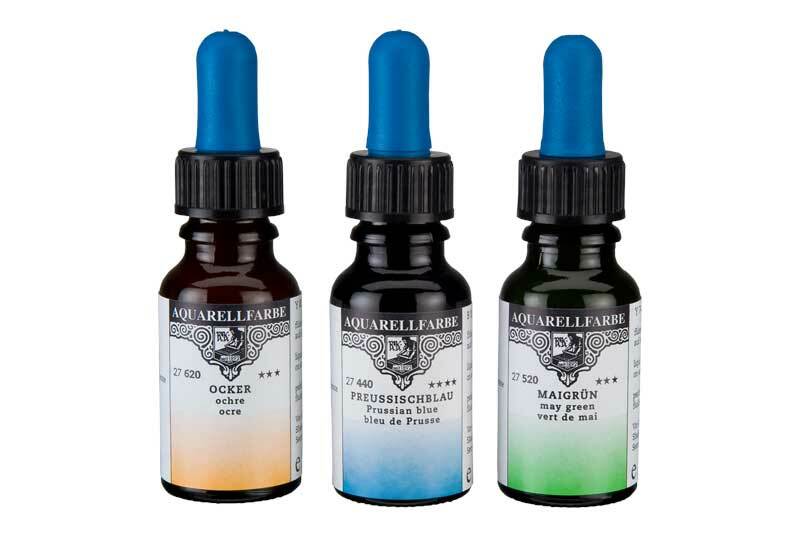 The abdication of a surfactant ensures an optimal flow without risking the ink to run over or through the paper. 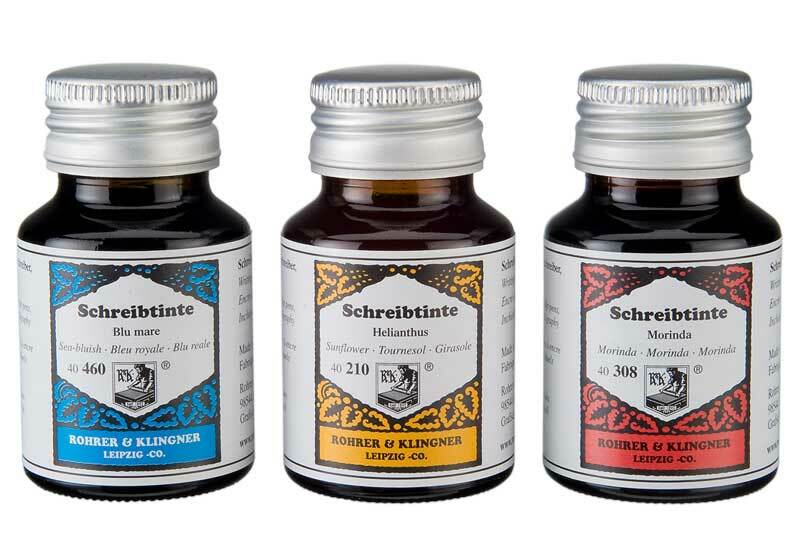 Still, this range of brilliant ink features a good coverage, clear borders and an ideal drying time. 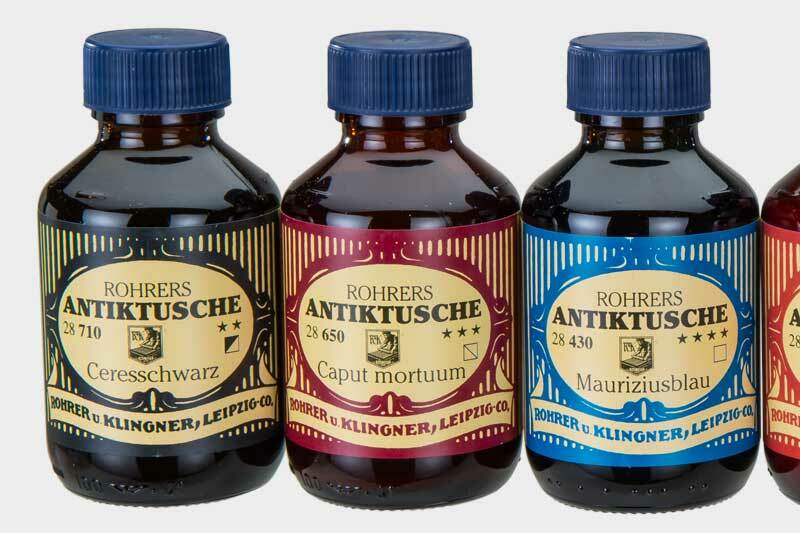 Any of these tones can be mixed with each other, but also a combination with Rohrer’s Calligraphy Ink (range 29) is possible; For instance, a blend with the Gold and Silver tones would produce remarkable metallic effects.